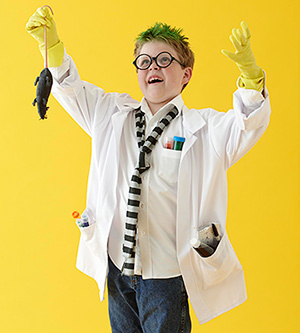 Happy Healthy Families: Making Halloween Costumes This Year? Yea, Probably Not. Making Halloween Costumes This Year? Yea, Probably Not. I know we are barely done with the 'back-to-school' craziness, but I am going to hazard a guess that many moms out there are now entering Halloween planning mode...because no way can I be the only one. 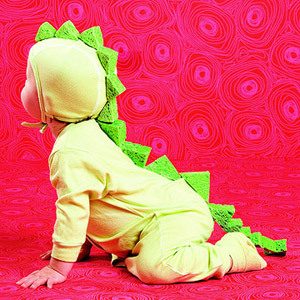 So right off the bat I came across this too cute and 'way too easy it is ridiculous' dinosaur costume idea. The main item needed for this costume are green sponges! Just cut them up into triangle shaped wedges and glue or sew them on to clothing. 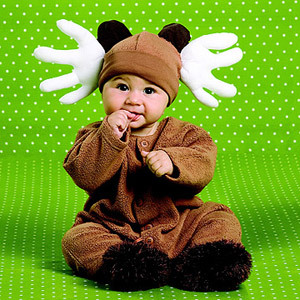 This is a costume for little kids, and my now 'bigger kids,' wouldn't thinks it was so cute, but I had to share! And I loved this idea for making easy reindeer antlers. To make these antlers, stuff white cotton gloves with batting or other material, then sew them on a cap. Instant reindeer antlers! Now that is one smart idea. Again, this won't work for my boys, but it is a great idea all the same. 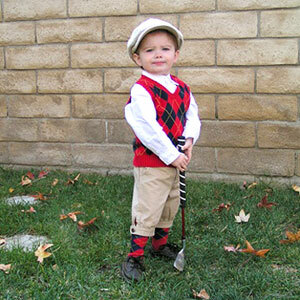 A golfer. No real directions needed here, this costume idea is pretty self explanatory. My boys are dedicated store-bought Halloween Costume type kids however. They always have been, no matter how many cute ideas I try to bribe them with. So I doubt this year will be any different. But somehow it just makes me feel better to at least pretend try to become one of those creative moms that put together awesome costumes. Maybe I switch to looking for Halloween costumes for dogs. If you are searching for Halloween costume ideas, check out Parents.com.That's where I found these!